MANILA- Budget Chief Benjamin Diokno said Friday he would skip future hearings of the House of Representatives on alleged anomalies in the proposed 2019 national budget,, noting lawmakers "have crossed the line." 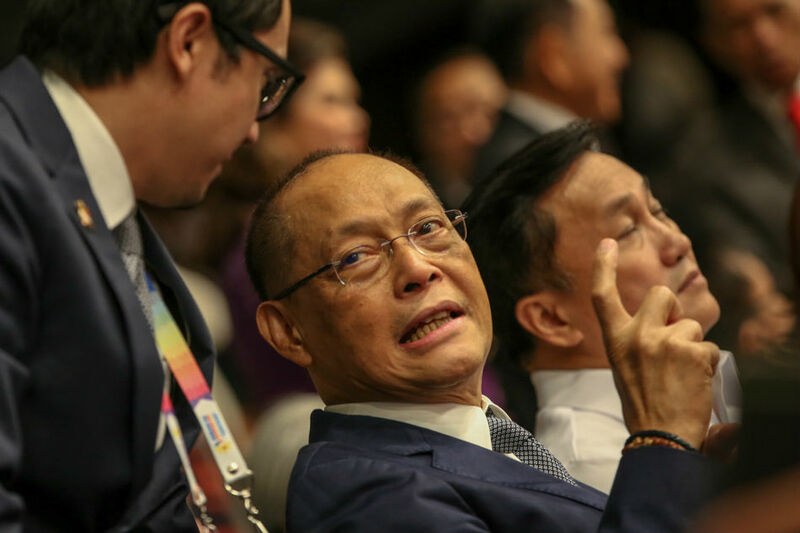 Diokno said he would instead send a written report to answer further questions of lawmakers on the budget, noting that House members have been "disrespectful." “They have crossed the line. They have been disrespectful. They did not give me a chance to answer their questions so next time I will just send a written report," he told ABS-CBN News in a phone interview. Diokno was invited to the Question Hour on Dec. 11 to seek clarification regarding the P75 billion “insertion” in the 2019 budget. A day after, the House of Representatives urged President Rodrigo Duterte to reconsider the appointment of Diokno as budget chief amid questions on alleged insertions in the 2019 budget. The budget chief said the President already assured him of the Cabinet's support and urged congressmen to respect the separation of powers in government. "The Cabinet is backing me up. The President is backing me up. They (congressmen) should respect the separation of powers," Diokno said. "They're (congressmen) supposed to be allies of the administration," he added. Malacañang on Friday also criticized the behavior of House members who questioned Diokno, saying it is "elementary" for a branch of government to accord respect for the other branch of government. "When they (congressmen) make courtesy calls, they are accorded due respect, and so we of course demand the same respect when they invite members of the Cabinet," Presidential Spokesperson Salvador Panelo said in a Palace press briefing. "They should exercise the demands of ethical refinements, meaning to say they should be exercising courtesy and civility with each other," he added.